There are multiple reasons that can cause the Are you sure you want to do this? Please try again. 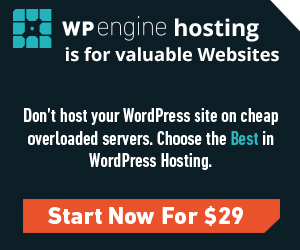 to appear on your WordPress site. WordPress are you sure you want to do this message is not too informative and often causes certain confusion among users. In many cases, you can see this message when you are trying to upload a theme or a plugin .zip file to your site via your WordPress dashboard. From my support experience, the most common reason for this problem is very simple. You are trying to upload the wrong file. This often happens to ThemeForest themes. People are often trying to upload the whole theme package instead of the theme zip file only. In this case you need to unzip the package, find the theme among other files/folders and upload the theme to your site. One of the common reasons for this is low PHP settings of your server. For example, the default maximum file upload size set by your hosting company may be as low as 2 MB (megabytes). In this case you won’t be able to upload Handy theme‘s zip file to your site, although it currently weighs only a little bit over 2 megabytes. In this case The uploaded file exceeds the upload_max_filesize directive in php.ini. message will pop up. To fix this problem you need to either increase your PHP parameters or to upload the theme to your site via FTP. To change PHP parameters, such as max upload filesize and php memory limit you need to talk to your hosting support and ask them for help or try changing the parameters yourself. Different hosting companies have different recommended ways of changing php parameters, so it’s always good to consult your hosting support or read their documentation on the matter. If you decide to change the parameters yourself you may find this article quite helpful. To sum up the things above, the easiest and fastest way to make the problem go away on theme or file upload is to just upload it via FTP instead of WordPress dashboard. Then check for possible plugin conflicts by deactivating your plugins. Still no luck? Contact your hosting support for help.